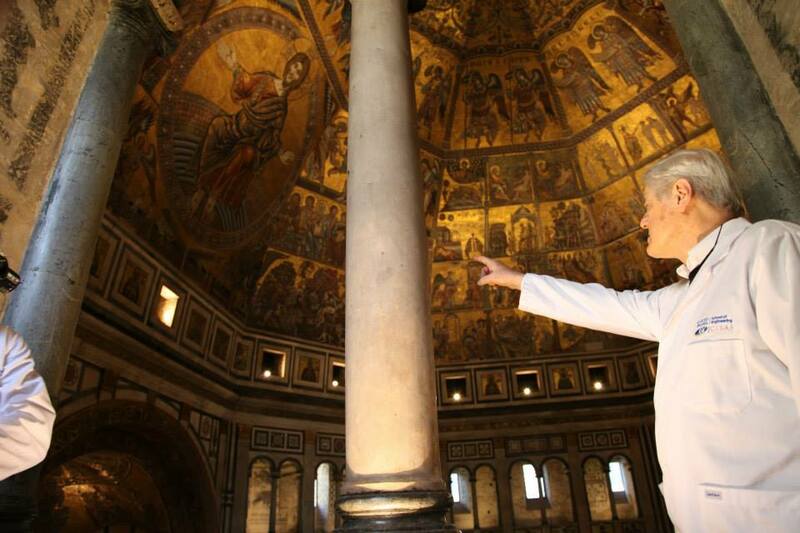 The ceiling mosaics of the Baptistery of St. Giovanni. The tiny tesserae were added over time as the artwork was expanded to cover the whole ceiling. The differences in timing, material, and the shifting of the structure all play a role in the erosion and subsequent erosion monitoring of the site. 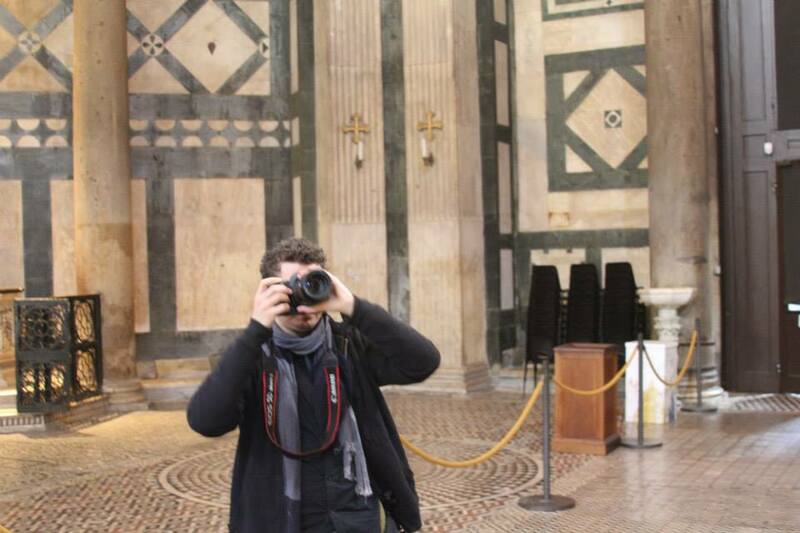 Maurizio Seracini identifying some of the cracking occurring in the dome of the Baptistery of St. Giovanni as he outlines our digitization strategy from one of the site’s upper balconies. 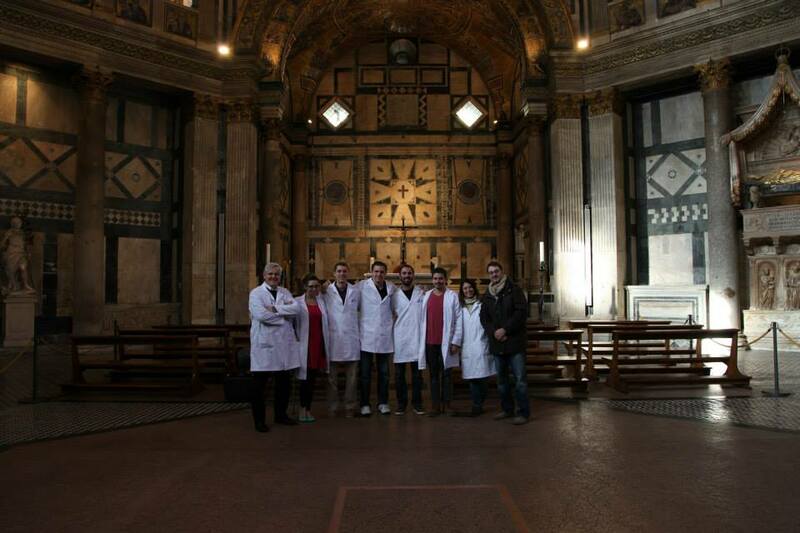 The Opera del Duomo di Santa Maria del Fiore (OPA) invited CISA3 to join their interdisciplinary team of researchers working to establish a chronology of construction for the Florence Baptistery of St. Giovanni (John). The evolution of the site from its Roman origins upwards is rather mysterious. Significant research has been done by dedicated scholars, but they’ve no way to correlate that information altogether to start making sense of it. Enter CISA3 with our concept of layered realities of data draped on a digital scaffold. 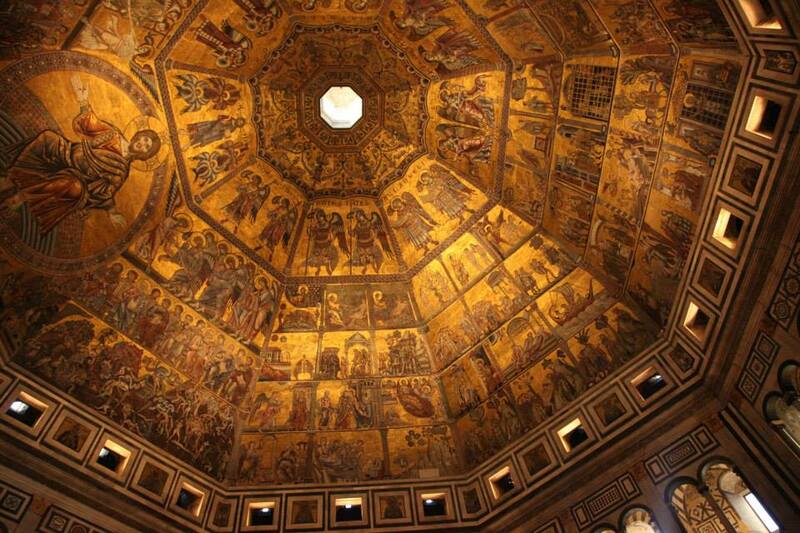 The interior of the Baptistery of St. Giovanni, Florence from the first floor balconies. To image the interior we worked with OPA to have access very early in the morning prior to its opening for tourists and later in the evening after it had closed for the night. 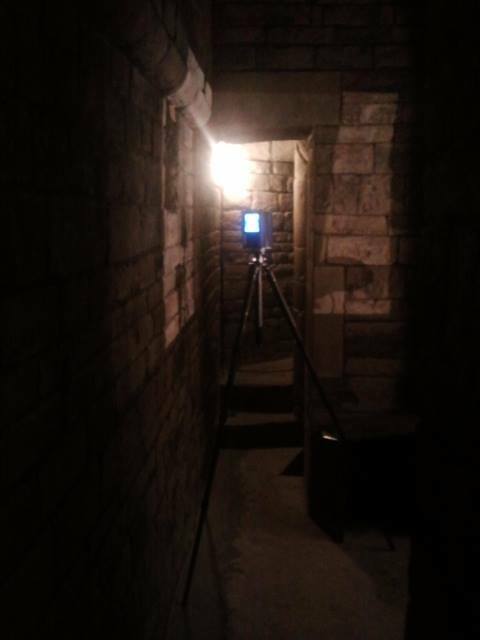 Led in the field by our Emeritus Director Maurizio Seracini, the team surveyed, planned, and was prepped and ready for action for whenever these rare windows of access would occur. We had a divide and conquer mentality- especially as we knew we wouldnt be able to collect all of the data for a complete perfect replica of everything given the access time crunch (for instance, the laser scanner never dealt with the insides of the first floor balconies and structure from motion for color texturing wasn’t even attempted on the second and third floors of dark, narrow passageways leading round the bottom of the dome edges). This also meant for those of us working in the same area, we had to do an elaborate gadget dance to stay out of each other’s way. interesting reference challenge to piece together the traversed narrow corridors. But then, this is where all of my elaborate metadata comes in. 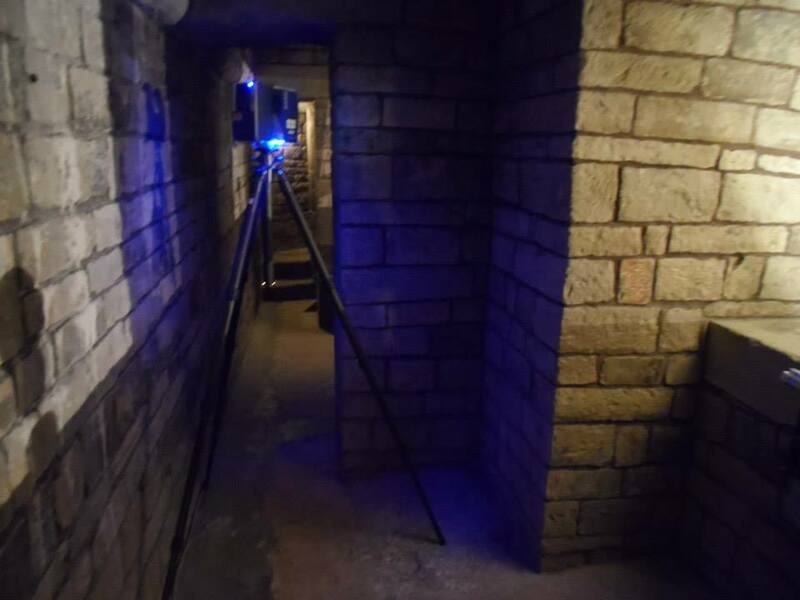 ;) The corridors also meant a significant amount of playing hide and go seek while timing the scanner in particularly dark bits of the upper roof area. It’s always very cool to work at sites like these, in areas few people ever see. But when you’re sitting quietly in the dark up in the proverbial rafters, waiting for the scanner, its sometimes a little unnerving. 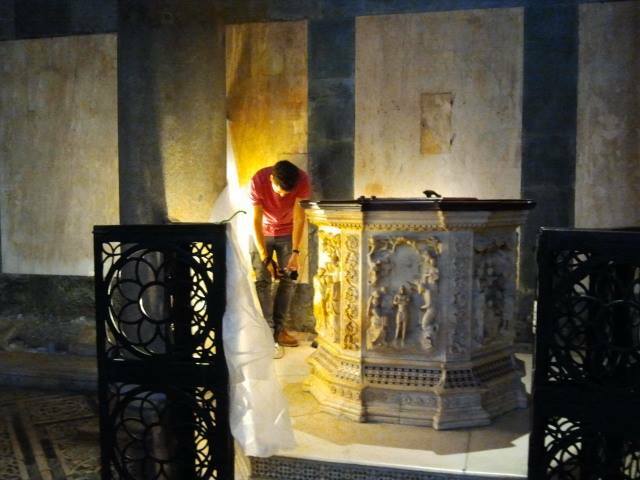 Vid was meanwhile in charge of digitizing the artifacts in the Baptistery selected by Maurizio and our wonderful art historian Katharina Giraldi-Haller for priority imaging. Juggling lighting rigs, camera equipment, and ever-mindful of my scanning, Mike Hess’s thermography, John Mangan’s metadata photography and filming, and all the rest: Vid imaged the Baptistery’s carved font (recently made even MORE famous by Dan Brown’s use of it in Inferno), and several of the sarcophagi and statues lining the walls. 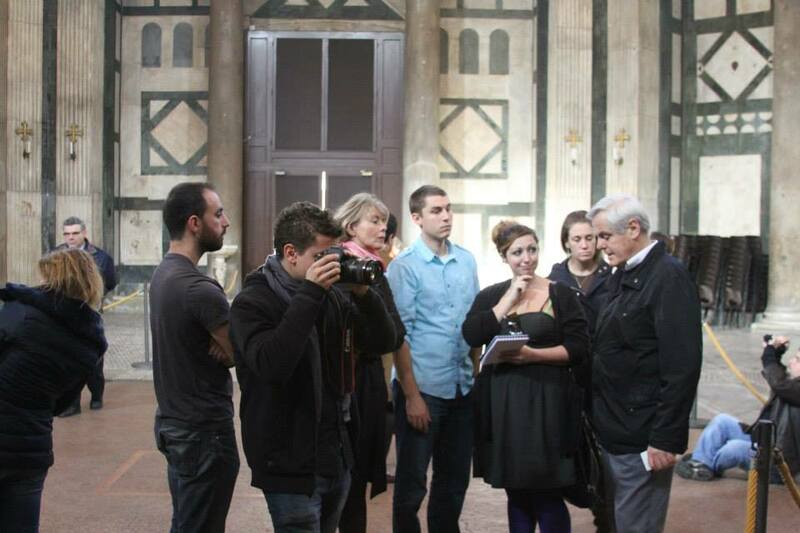 The team planning their digital survey of the Baptistery of St. Giovanni with Maurizio Seracini and Katharina Giraldi-Haller. Vid Petrovic on visual notes. Ashley M. Richter on written ones. Ashley M. Richter (me!) 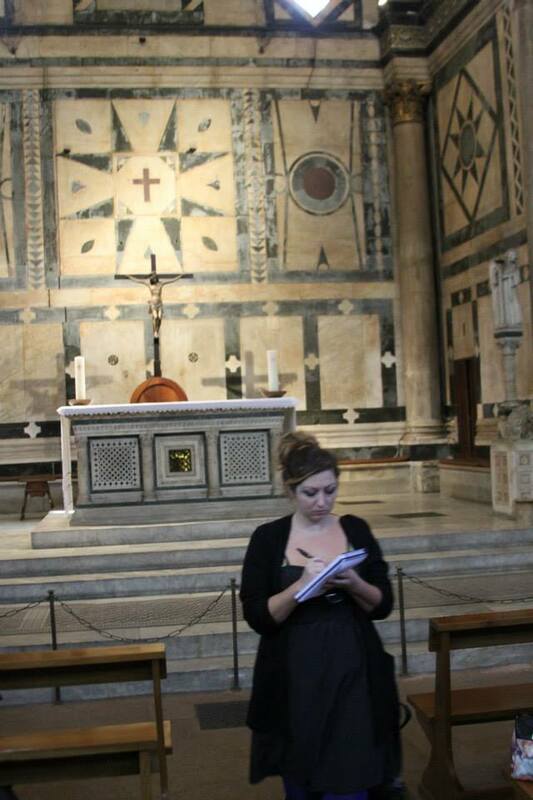 jotting out the digitization strategy during a survey visit to the Baptistery of St. Giovannu. 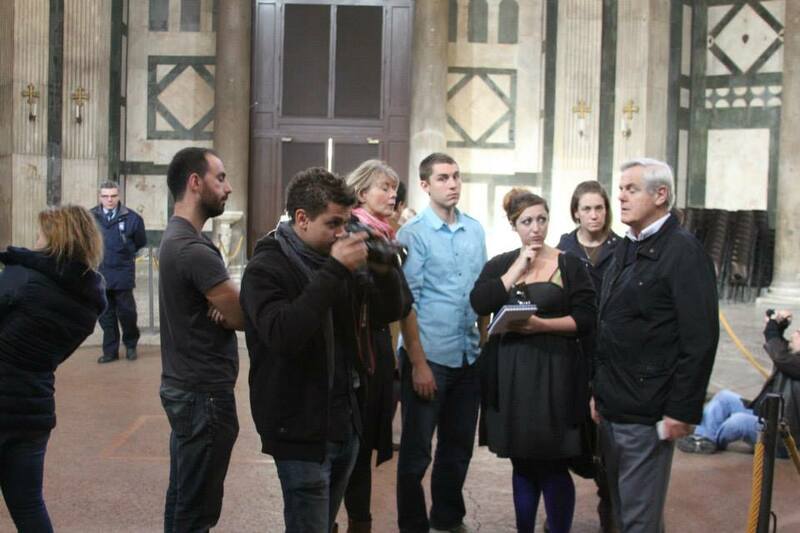 The team for one of our longer access times: Maurizio Seracini, Mike Hess, John Mangan, DV, Vid Petrovic, Caterina Maffeis, and one of the Baptistery’s current architects. 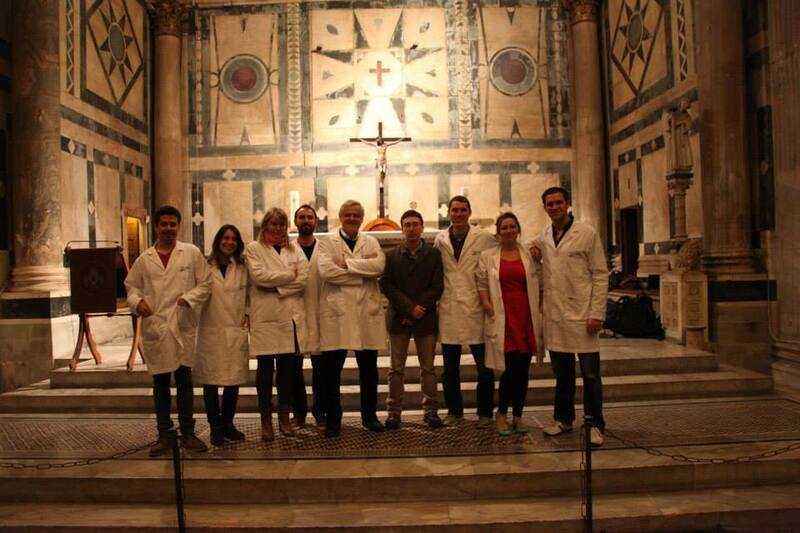 The team on a different data collection day, including Vid Petrovic, Caterina Maffeis, Katharina Giraldi-Haller, DV, Maurizio Seracini, his assistant Fillipo, Mike Hess, Ashley M. Richter, and John Mangan. 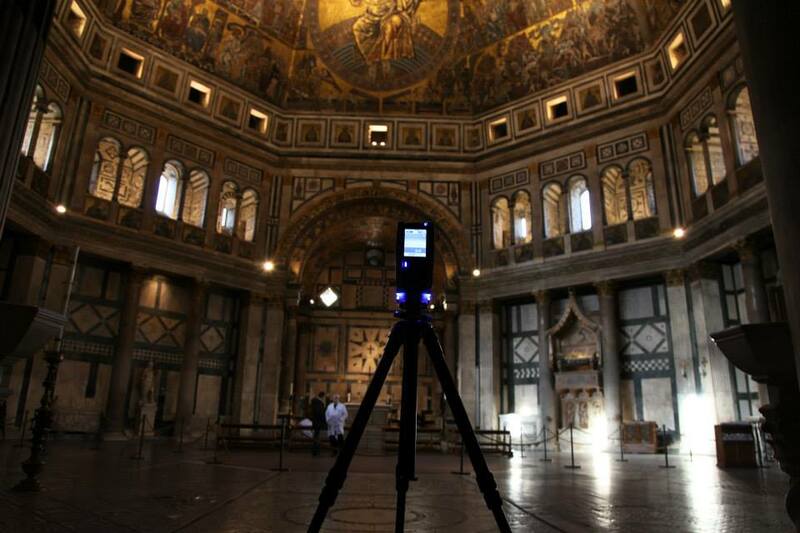 The Faro Focus 3D scanning the interior of the Baptistery of St. Giovanni. 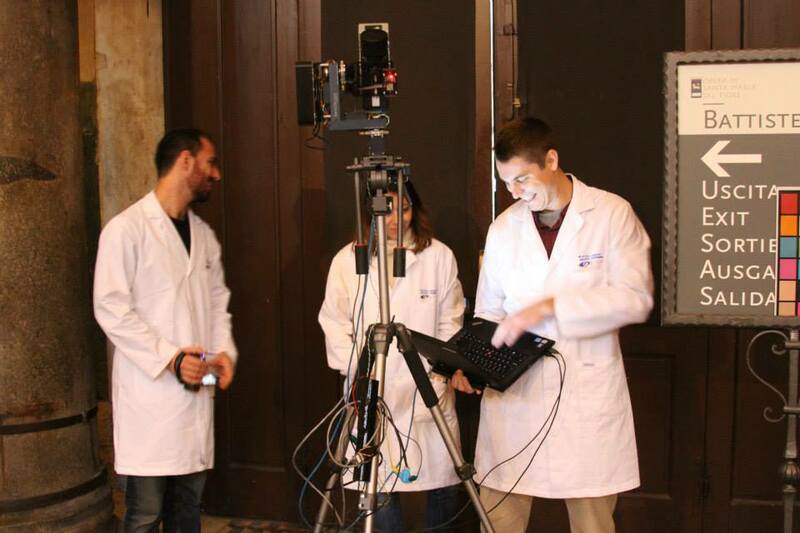 Mike Hess walks Italian art diagnostician Caterina Maffeis through his thermographic data collection process. 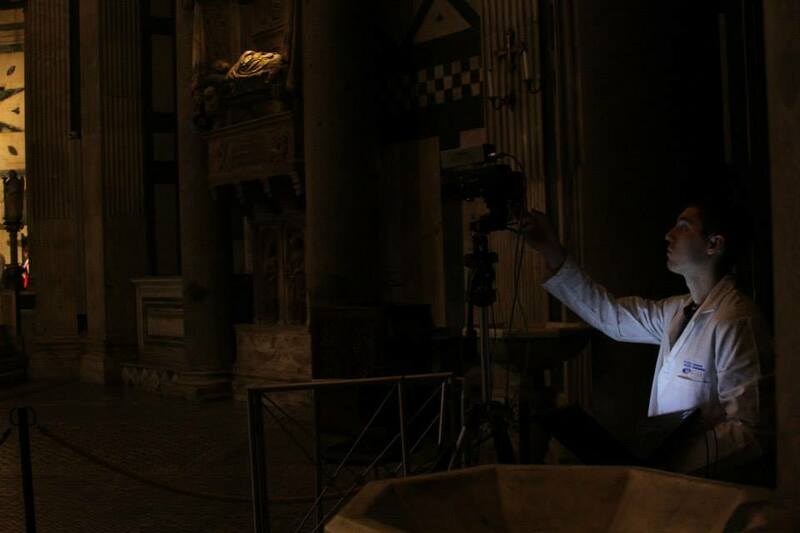 Mike Hess collecting thermographic data of the interior of the Baptistery of St. Giovanni with his newly designed (and fabulous) automated turret. 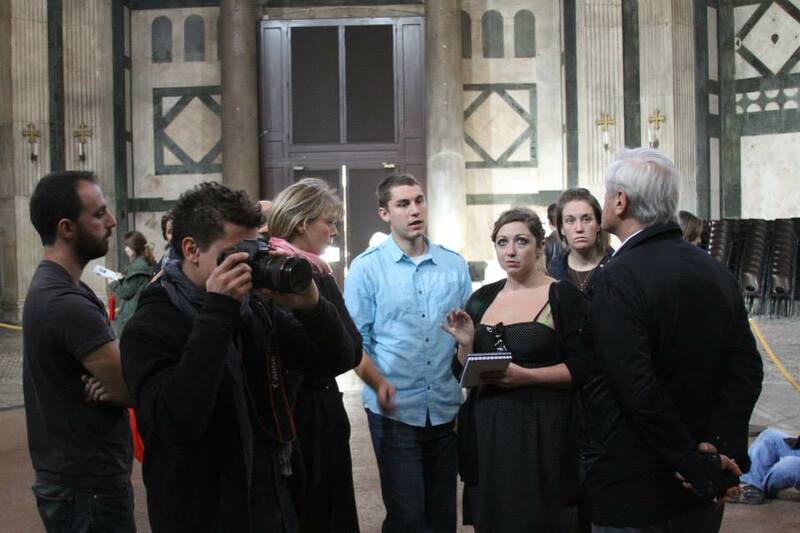 Maurizio Seracini, Caterina Maffeis, and Mike Hess strategizing in the Baptistery of St. Giovanni. 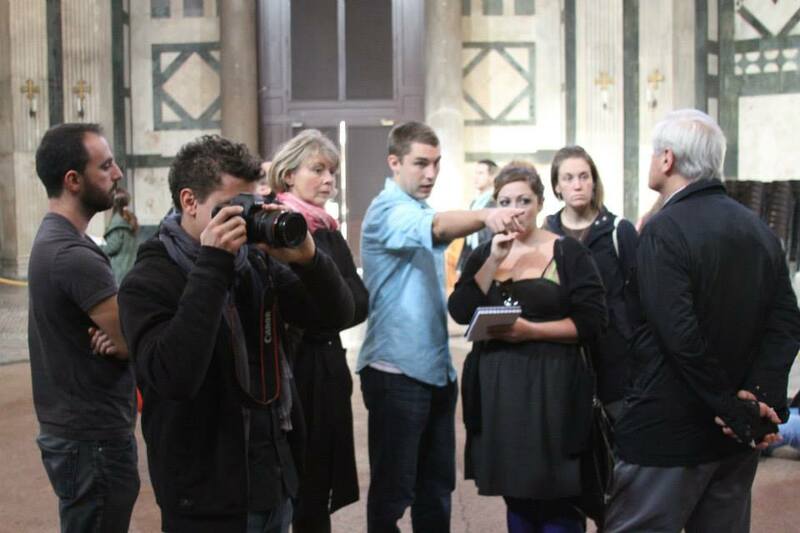 Vid Petrovic imaging the fount in the Baptistery of St. Giovanni. 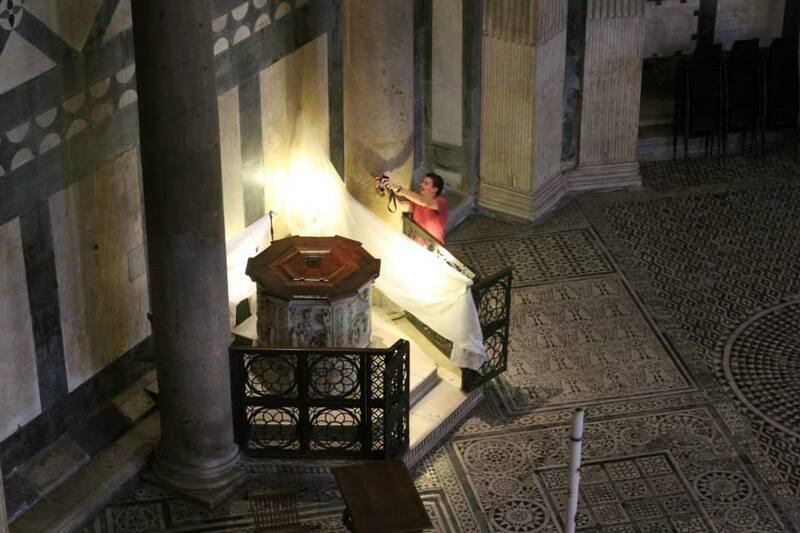 Vid Petrovic imaging the sacred fount in the Baptistery of St. Giovanni. 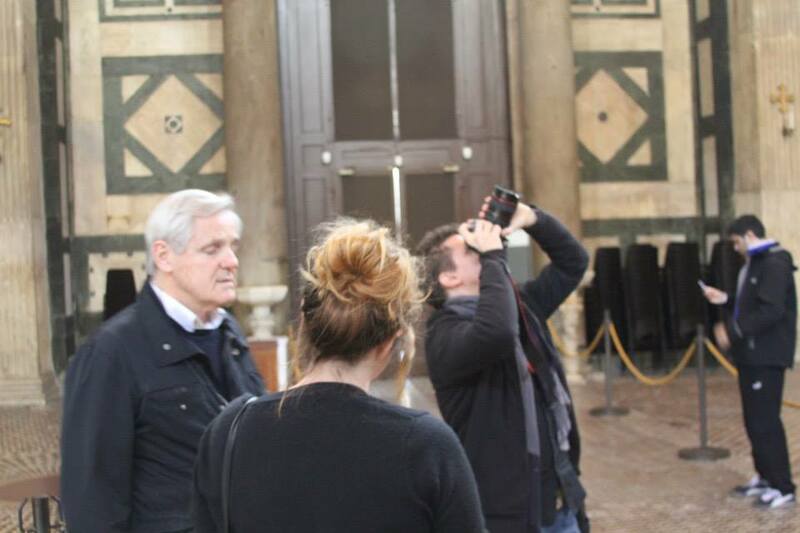 The Faro in the upper corridors of the Baptistery. 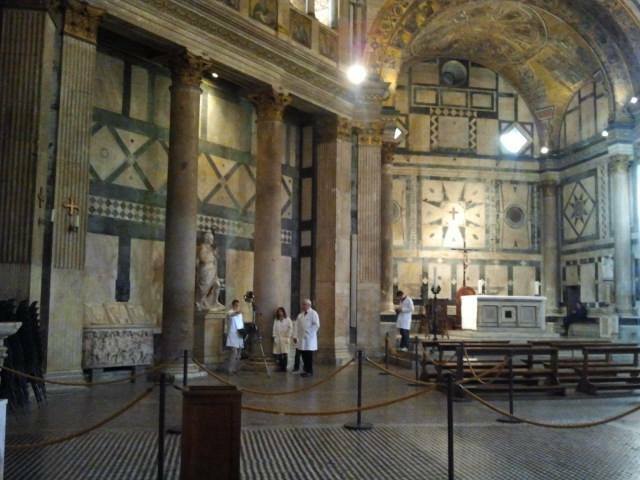 The Faro in the upper corridors of the Baptistery walls. 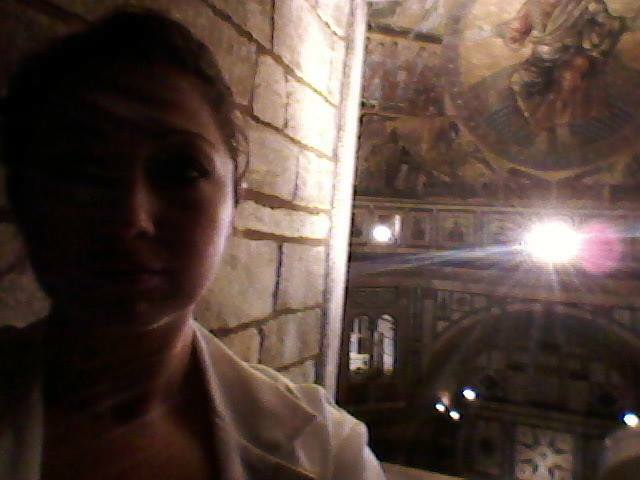 Baptistery Selfie while waiting for the laser scanner on the upper floor of the Baptistery of St. Giovanni. I don’t do them often. I swear. Tagged archaeology, Architecture, art, Ashley M. Richter, Baptistery, Baptistery of St. Giovanni, Baptistery of St. John, Center of Interdisciplinary Science for Art Architecture and Archaeology, CISA3, computer science, Cultural Heritage, Cultural Heritage Diagnostics, cyberarchaeology, Digital, digital archaeology, Digitization, engineering, Florence, Italy, Maurizio Seracini, technology, University of California San Diego, Vid Petrovic, visualizationBookmark the permalink.